Meet our founder, Jake Harriman, who left his job as a Platoon Commander in the US Marine Corps to join the fight against extreme poverty. 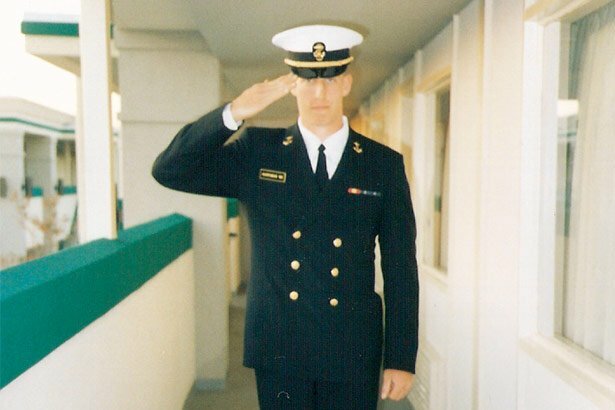 Jake Harriman graduated from the US Naval Academy and served over seven years in the US Marine Corps as a platoon commander in both the Infantry and a Special Operations unit called Force Recon. He led Marines in four operational deployments throughout Southwest Asia and the Middle East, Africa and Southeast Asia, including two combat tours in Iraq. Jake was awarded the Bronze Star for actions in combat during his second tour in Iraq. Jake’s personal experiences fighting the War on Terror convinced him that extreme poverty is a contributing factor to the causes of 21st century terrorism and insurgency, and that a reduction in extreme poverty will impede their proliferation. 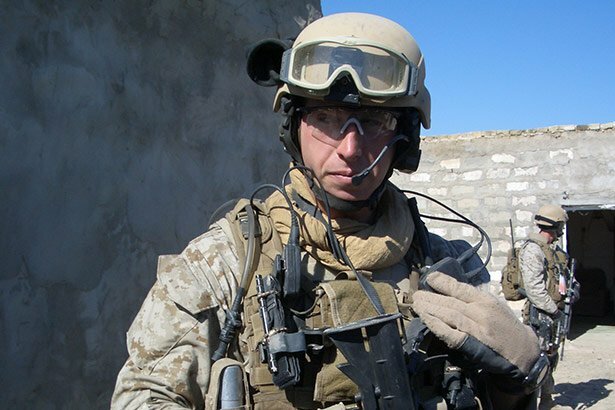 To fight terrorism and insurgency from another angle, Jake left his career in the Marine Corps and enrolled at Stanford’s Graduate School of Business (GSB) to build an organization that could ultimately rid the world of extreme poverty in our lifetime. Inspired by Jake’s vision, teams of Stanford GSB students analyzed the successes and failures of the past 50 years of international development. Faculty members donated their expertise, time and resources, and philanthropic foundations and Silicon Valley entrepreneurs donated seed money. In September 2008, Nuru International was invited to test this new approach in an impoverished community in rural Kenya. Located in the southwest of the country of Kenya, the Kuria West District is populated by farmers primarily growing maize and a few staple crops. Despite ample rains, the yields were very low due to nitrogen-depleted soil and inferior maize seeds. Most families experienced a hunger season between harvests. Typhoid, malaria, tuberculosis, and upper-respiratory tract infections were rampant. Children were reading far below grade level, and there was neither business training nor access to capital for investment. Communities had lived in extreme poverty for generations, and there was little hope that anything would change. When Nuru International arrived, we met with local officials and village elders, farmers in their fields, mothers in their mud-walled homes, teachers in their schools, and local business owners at their kiosks to listen to their needs and ideas for solutions. After months of research, we held a meeting to invite farmers to enroll in Nuru Kenya Agriculture, and 450 farmers showed up—three times more than we had expected. When Nuru members harvested their first maize crop, many experienced a dramatic increase in yield, and nearly all members repaid their loans. Subsequent seasons have delivered steady crop yield gains for existing Nuru farmers and exponential gains for new farmers. Over the years, Nuru has tried dozens of different poverty fighting interventions—of which many have failed. Yet our commitment to developing measurable, sustainable solutions in partnership with local leaders led us to create the Nuru Model. Get the latest news from Jake and Nuru delivered right to your inbox.